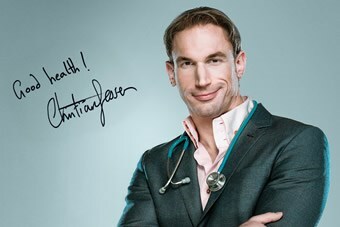 Recognisable from television programmes such as Embarrassing Bodies and Supersize vs Superskinny, Dr Christian Jessen works for Doctorcall in our Harley Street clinic. Specialising in sexual health and Botox, Doctor Christian can offer you medical advice when you book an appointment with Doctorcall. Availability is limited to some weekdays. Doctorcall and Doctor Christian can help you with advice on general medicine, sexual health and dermal fillers. For the next available appointment with Dr Jessen, call us today on 0844 257 0346.